So, what exactly is Traverse? Basically, Traverse is an annual blogging conference held in Europe over a weekend in early summer. But if you think it is like any conference you have been to before, think again. Forget all ideas about conferences in stuffy hotels with large anonymous rooms and delegates mingling quietly. The sessions are held in more intimate rooms sometimes with standing room only. Traverse is vibrant, buzzing with life and energy and chatter! 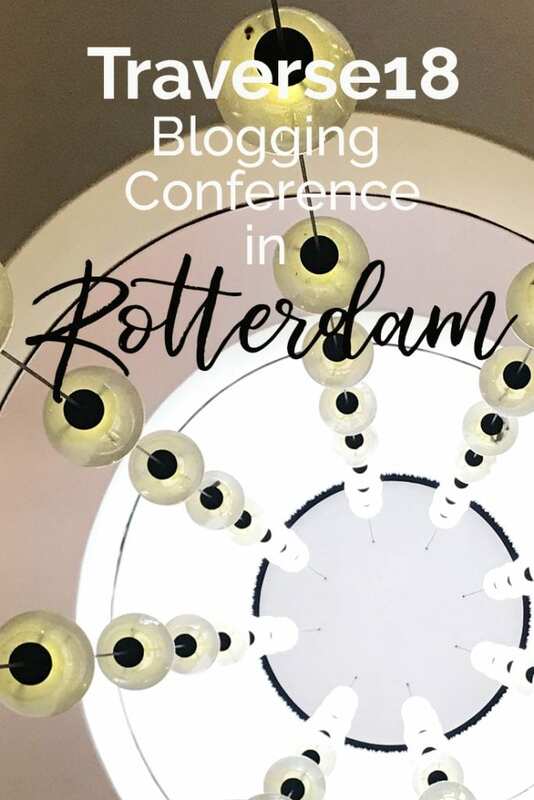 Five days of events in and around Rotterdam leading up to the main event: the two day Conference. This year it was held at LP2, a revitalised and renovated former warehouse building on Wilhelminakade near to the centre of Rotterdam. In the five days leading up to the weekend, there are a series of free events in and around Rotterdam. 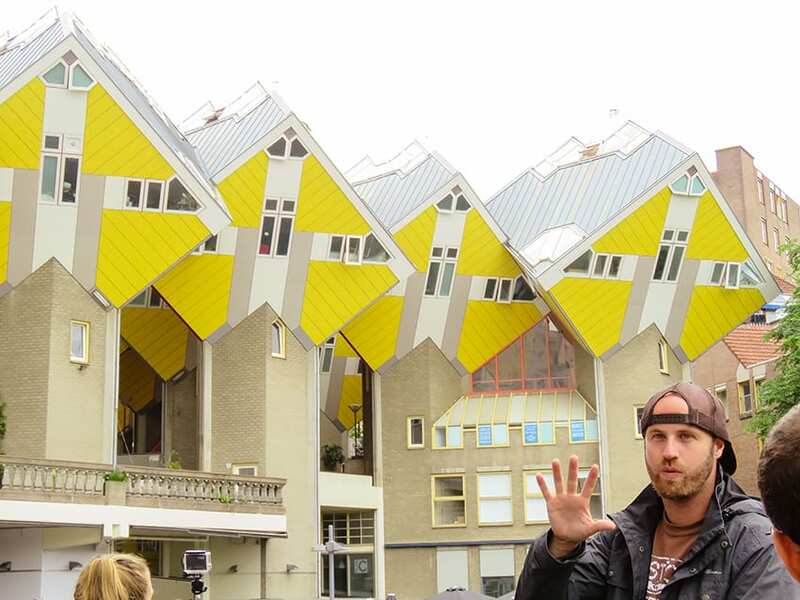 With vlogging tours, architecture tours, street art, behind the scenes of a fashion brand, great shots, great view and g&t’s at the Hilton, city tours, ice cream making, cocktails, boat tours, there was something for everyone! The two days of the conference were filled with over 45 different workshops and seminars. 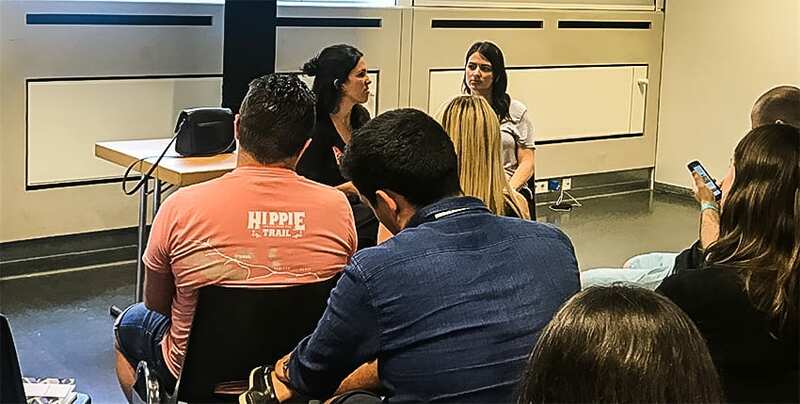 There were also one-to-ones with some of the speakers and experts, the chance to have a website health check, networking and making new friends, Traverse has so much to offer for the newbie or established blogger. Seminar topics for 2018 were as diverse as Words Matter: How to Become a Writer (Elle Croft), Pitching to Brands (Emily Leary), My SEO traffic has plateaued (or dropped), what should I do? (Adrian Brand) or Lessons from 10 Years of Travel Blogging (Matt Kepnes aka Nomadic Matt). Saturday morning started with Jen Rankine from Skyscanner discussing becoming a brand ambassador for Skyscanner and the advantages of working with them. She explained the tier system, the potential rewards and monthly challenges. Erik van Erp from Around the Globe gave us insights into the having a long-term SEO strategy and the rise of voice searches. He encouraged us to look for our poorly performing posts and update them with better keyword research. 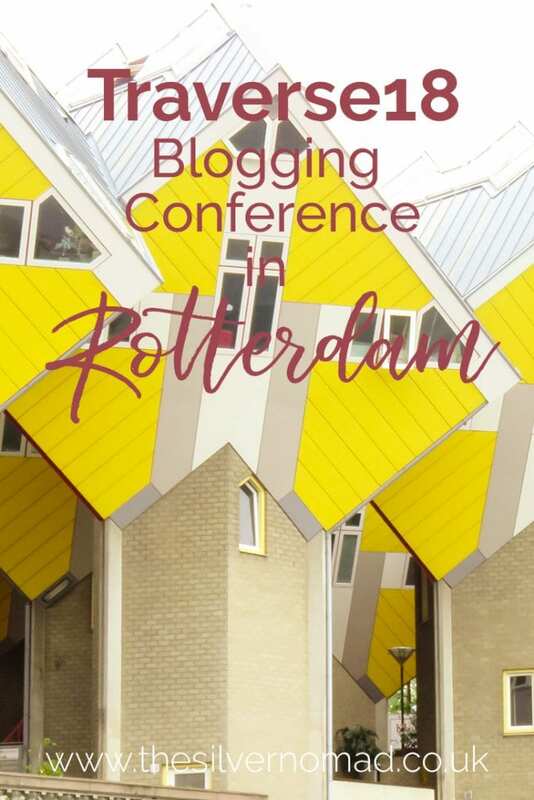 After lunch, Milou Van Roon from Explorista delved into making passive income from your blog covering display ads, affiliate marketing and selling videos, photos and online products. Emily Gough and Andrew Sim from Along Dusty Roads) talked to a packed room about how the visual experiences of a destination can enhance and elevate your writing by telling a story with photos. And my final session of the day was the lovely Lucy Lucraft who was joined by Elle Croft for an introduction to podcasting. Informative and entertaining, Lucy gave us lots of useful tips and tricks. The session was recorded and Lucy released it on her blog, click to listen to lucylucraft.com. Only four sessions today, so I started off with building products with Liam Tucker who took us through his 5 steps to finding profitable products and selling them. Liam’s talk dovetailed neatly into the next workshop by Sandra Van der Lee on how to make money on the road selling freelance services. Sandra encouraged us to look at our education, life experiences, work experiences and what we are passionate about and write down ideas of how we could monetise what we already know. Following lunch, it was time for another session on podcasting, this time presented by Susan L. Schwartz from A Lush Life Manual. Brilliant tips from wheat tech to buy – earphones, mics, tripods etc – to a breakdown of how to format your podcast episodes. My last session was with the inspiring Frankie Thompson from As the Bird Fies who made us all say “I am a Writer, my writing matters”. Frankie gave us her hints and tips for when our writing is just not flowing including switching off the Internet (!! ), affirmations and writing in the same place at the same time. At the end of the talk, we were lucky enough to receive a Mini Classic pack of her WriteNOW Affirmation Cards. To round up the conference, we all sat in the Business Stage area for the Traverse18 Closing Panel to answer our questions, while we sipped some wine, beer or water. A big part of Traverse is the social element. Evening events including welcome and closing evenings as well as cocktail parties, meetups in bars, pizza parties. 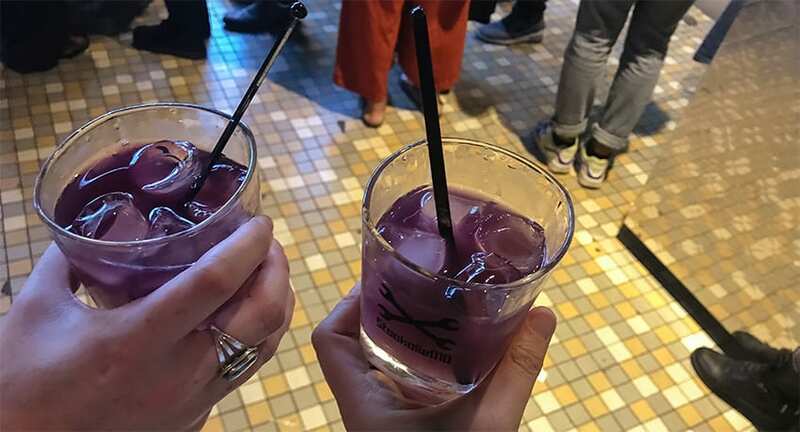 The lovely purple drinks below were Stooklie 010, a very moreish 45% proof drink made by Rotterdam! 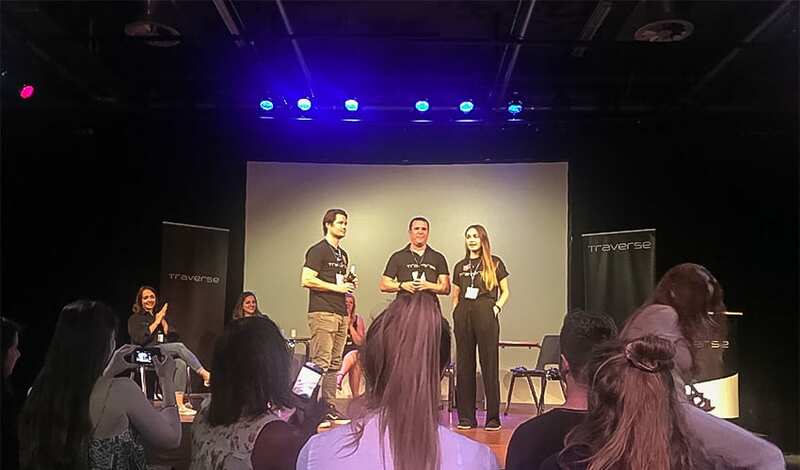 Why did I Attend Traverse18? 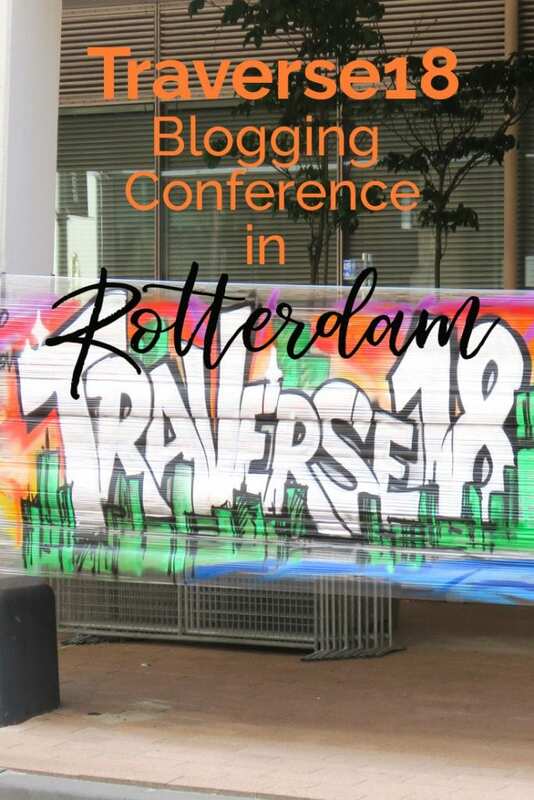 Having chatted to other bloggers and read about the different workshops offered at Traverse, I knew it was a way of immersing myself in blogging and learn from the masters and mistresses of the blogging world. It would ramp up my knowledge and help me hone my craft, but also give me the opportunity to explore topics such as vlogging, podcasts etc. To be honest, I wanted to attend Traverse17 in London, but I panicked and decided that I wasn’t ready, my blog wasn’t big enough.. and I talked myself out of going and went to Bali instead. I promised myself that in 2018 I would go, wherever it was and however far I was in my blogging journey. I knew that I would enjoy it, but the timid me was worried about appearing naive, a newbie and maybe a touch of imposter syndrome. What I found was that the travel bloggers that attended Traverse were a lovely, supportive, crazy, interesting bunch of people, who couldn’t care less what age I was or how big or small my blog was, they were just happy for me to be me. Wherever you are on your blogging journey, Traverse19 can offer so much. For the newbie, the Beginner Sessions can help you with everything from SEO to approaching brands to social media. For more established bloggers, there are Business and Advanced Sessions where you can hone the knowledge you already have. Pre-sale tickets went on sale on Wednesday 24 October and sold out within a record 22 minutes. Early Bird Tickets go on sale on Friday 2 November. You can register your interest and check out other Traverse Events. If you use the code SN15 for Traverse19, you can get a 15% discount on the ticket price! 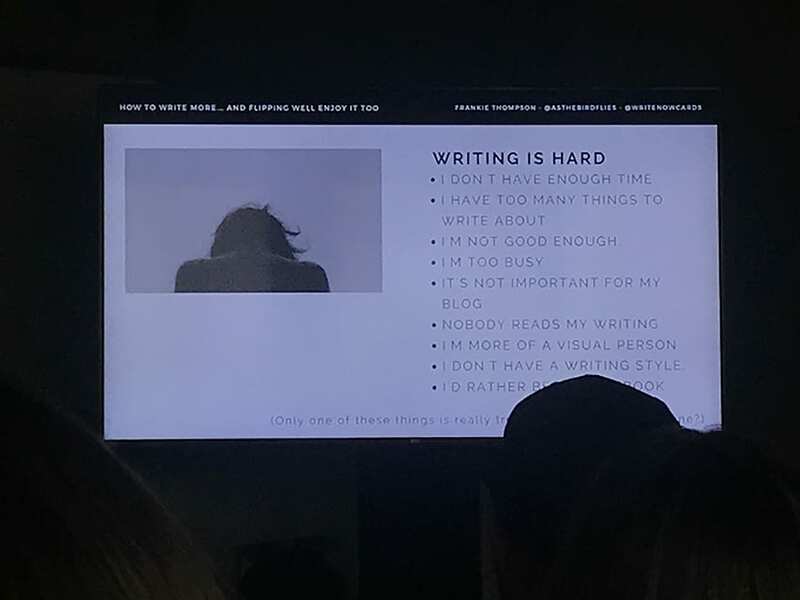 I follow and chat online to a lot of different bloggers, but to actually meet them in the flesh and realise that most have them have the same issues to deal with like me, was a big part of Traverse18 for me. I found that the connections I made to other bloggers and the networking were invaluable. The whole travel blogging scene seems to be supportive without the prima donnas that you get in other industries. 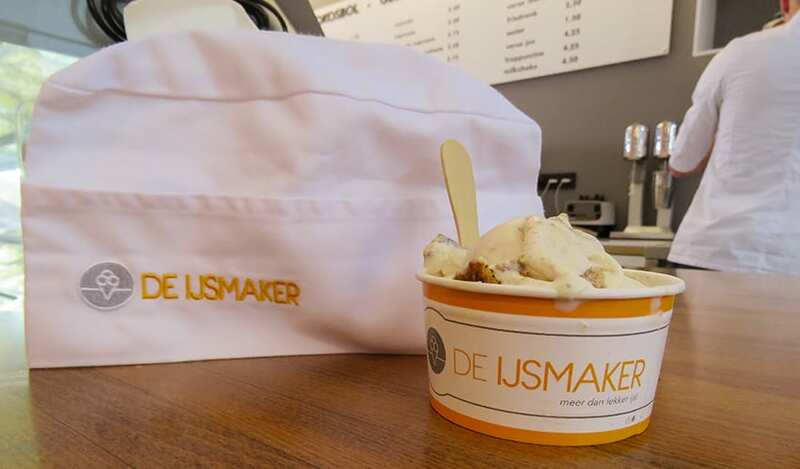 Being able to chat with the brand representatives in a more informal setting was so helpful, being able to talk about the opportunities available for working with them or affiliate schemes they may have. This also gave me the confidence to be able to approach other brands outside of Traverse. Traverse18 was my first dip into blogger conferences and I could not have started with a better one. The Traverse team make everything easy. They get that a lot of travel bloggers are self-funded and make the conference quite inexpensive to attend. They also provide a varied and interesting selection of workshops and pre-conference events. Let me know if you are going to Traverse19 and see you in Italy! Great summary of the conference Larch! I’ve also been wondering about going to a Traverse event – Trentino in June sounds very tempting. Oh you should go, Nancy, it was great fun and I learnt loads, and I will be there!